The 2019 Challenge is now closed. Top 5 2019 proposals announced! The winning projects will be announced on May 8th, 2019. The first prize receive €50,000 with €25,000 for the second place prize. We believe that chemistry plays a critical role in developing a sustainable future. Chemists have a special responsibility to develop those new products, resources and processes to make that happen. 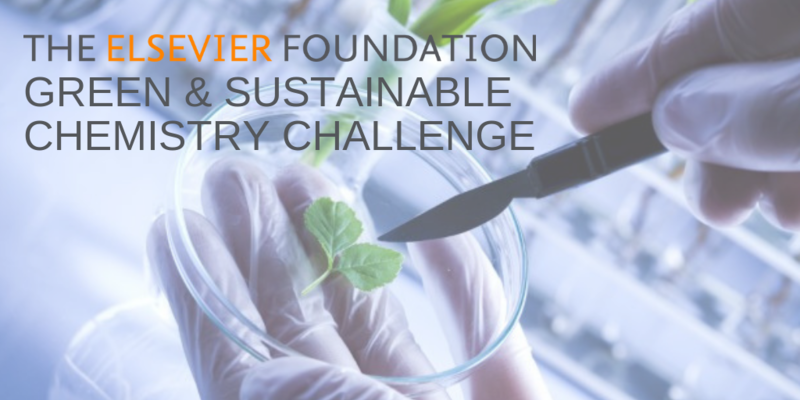 The Elsevier Foundation Green and Sustainable Chemistry Challenge seeks to stimulate innovative chemistry research that helps the environment and low-resource communities. The winning project will receive a prize of €50,000 with €25,000 for the second place prize. Provide a description of the project background and the urgency of the problem. Please include a description of the broader context and highlight how the project links to the United Nation Sustainable Development Goals (SDGs). Design a new business model fitting into the criteria of green and sustainable chemistry. Be replicable, scalable, sustainable, and set a benchmark for innovation – new ideas or concepts in development will be given preference over more advanced projects. Be suitable for use in developing countries. Have considered the project’s social impact on local communities, including gender equality either in design or implementation. Have practical applicability – include an implementation plan. Please note that if the project has been developed in a high-income country, contextually appropriate knowledge transfer will need to be demonstrated, for instance through a developing country implementation partner. If the idea presented is already patented it will not be eligible. Patents resulting from the work in case of executing the awarded project will be possible anyway. 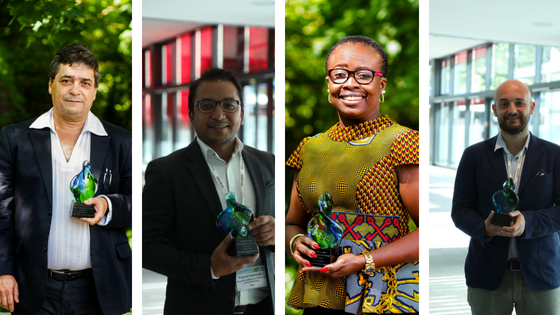 The top five candidates will be invited to present their proposals at the 2019 Green & Sustainable Chemistry Conference in Dresden, Germany, where the winners will be announced. The winning project will receive a € 50,000 award and the second prize winner will receive € 25,000. The Elsevier Foundation Green & Sustainable Chemistry Challenge is jointly run by the Elsevier Foundation and Elsevier’s chemistry journals team. The Challenge is open to individuals and non-profit organizations whose projects use green and sustainable chemistry solutions to tackle some of the developing world’s greatest sustainability challenges whether in water, sanitation or energy. Read more about Elsevier and green chemistry. about the Challenge on Elsevier Connect. 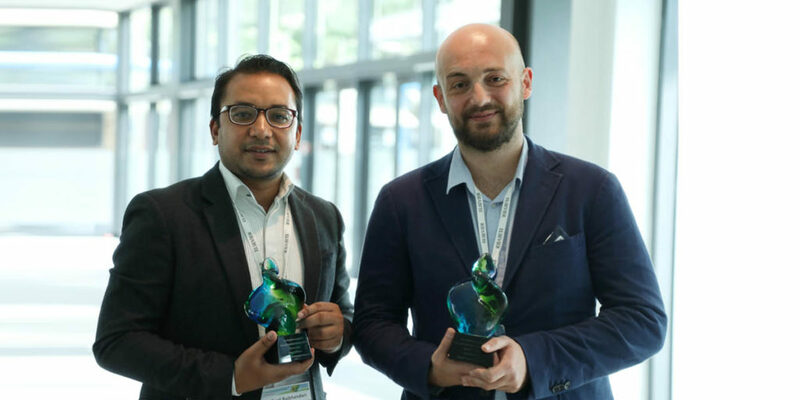 First prize winner Prajwal Rabhindari, President of the Research Institute for Bioscience & Biotechnology (RIBB) in Nepal, and second prize winner Dr. Alessio Adamiano, a researcher at the Italian National Research Council (CNR).